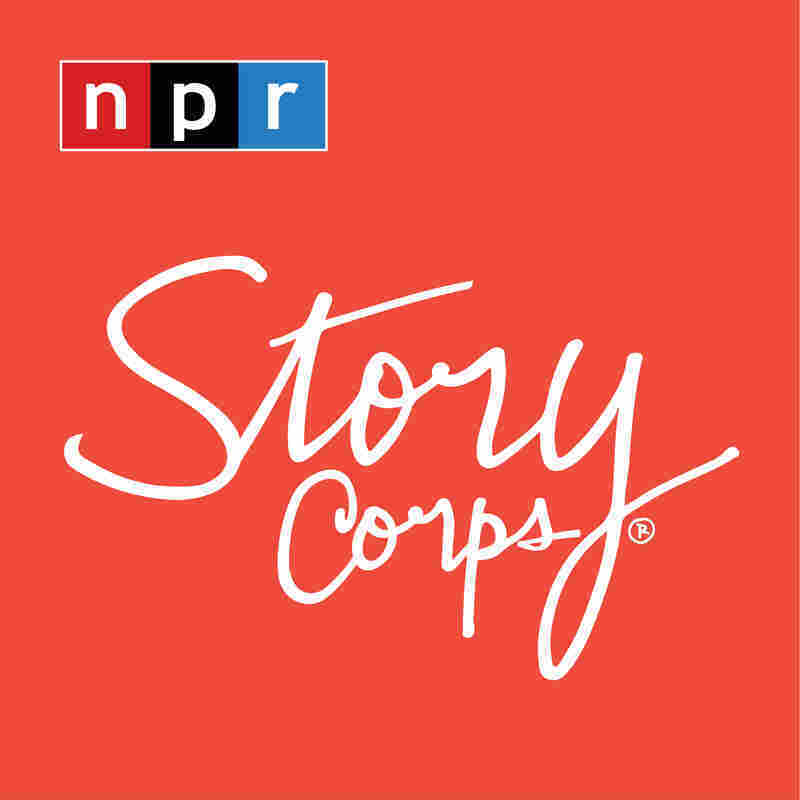 It is Friday, which is when we hear from StoryCorps, which tells the stories of everyday people, in fact people tell those stories themselves. Marine Corporal Anthony Villarreal served in Afghanistan. In June 2008 his truck was hit by a roadside bomb. He suffered third degree burns, severely disfiguring most of his face and body. His right arm and the fingers on his left hand were amputated. This is a common story, as we know. Anthony was 22 at the time and newly wed to Jessica, who was 21, and the couple sat down for StoryCorps and Anthony recalled the moments just after the explosion. CORPORAL: I remember trying to breathe. And I just felt, like, real hot, like I was on fire. They were dragging me on the sand and there was rocks there. So when they were dragging me, I felt the rocks against my skin and my legs and it hurt, but I couldn't scream. And so I just remember laying there, feeling the hot sun and then feeling the wind from the helicopter come in. And the doctor said you'll be home soon. JESSICA VILLARREAL: I remember when I first saw you. The doctors wanted me to identify you, like you had died or something. You were covered in bandages and I can only see your eyes and your lips. And then they showed me the extent of the burn, how it went straight to the bone. They told me we can't salvage the tissue, so I had to sign papers saying that it was okay for them to amputate. CORPORAL: When I woke up from that three-month drug-induced coma, having to learn everything that a baby has to learn, I didn't even recognize myself. After the first time I saw myself in the mirror, that's when I just broke down. I literally thought that my life was over. Kept thinking, what was I going to do? How am I going to get a job? What did you think about? VILLARREAL: I just knew that you needed me and I was going to be there. Were you ever scared that I'd leave you? CORPORAL: Yeah. I mean it's hard not to think about that, because a lot of people, they don't want to be seen with someone that was ugly. What was it, like 70-plus surgeries, skin grafts? I really didn't want to leave the house. I just thought to myself, man, people don't know how to ask questions. They just want to stare and point. I'm just glad that you're there to help me. VILLARREAL: The crazy thing is I'm still more self-conscious about what I look like than you are. But I have grown so much over the past five years. Didn't ever think that I'd be as strong as I am today, and most of it is from you. I can't imagine you not being in my life. CORPORAL: We've been through so much in so little time. Shouldn't be anything that could tear us apart besides death itself. INSKEEP: Retired Marine Corporal Anthony Villarreal and his wife Jessica in Lubbock, Texas. Today they're attending college together. This conversation is part of StoryCorps' military voices initiative, honoring those who served since 9/11. And you can hear the latest installment of the series tomorrow on WEEKEND EDITION. The podcast, as always, is at NPR.org.